*According to the Times of London, Nelson Mandela has abruptly called off a historic return to the prison from which he walked to freedom 20 years ago today. The decision to abandon his role in events celebrating the anniversary of his release from Victor Verster prison follows a dispute within his extended and fractious family on managing the movements of the increasingly frail former President, now aged 91. Instead, his former wife Winnie Madikizela-Mandela and other stalwarts of the African National Congress (ANC), including the President of South Africa, Jacob Zuma, will lead a “symbolic” 500-yard march from the gates of the prison, now called the Drakenstein Correctional Centre, to the spot where a beaming Mandela, his clenched fist raised in triumph, ended his 27-year-long incarceration. Last week, Fikile Mbalula, the Deputy Police Minister, said that Mandela would attend the commemoration outside the prison in an attempt to put an end to speculation that he was in such poor health that he would be unable to travel. 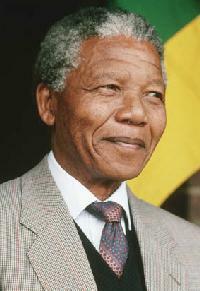 “Madiba” – the clan name by which he is affectionately known – has not been seen in public for months. Meanwhile, sources tell the news outlet that there’s a power struggle among Winnie Madikizela-Mandela, other family members, and Mandela’s current wife. Read more of this article, HERE.